Special Features: F1-Hybr., straight upright, long flowering stems, attractive, cylindrical flower spikes. Very attractive ornamental foliage grass. 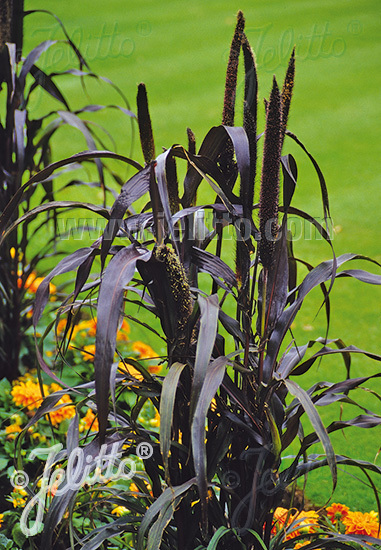 Young-plants require sufficient warmth, purple pigmentation occurs when plants are exposed to full sun.